You are here:Home > All Products > Free Samples! *customer pays standard $4.95 flat rate shipping. As a nation struggling with chronic stress and anxiety, most of us can use relief from tension and sore muscles. Herbal supplementation does not have the addictive effects of many prescription muscle relaxants. *customer pays flat rate $4.95 shipping. If you struggle with sleepless nights, whether from chronic stress, anxiety, tension, sore muscles, or insomnia, herbal supplementation does not have the addictive effects of many prescription sleep aids. All in a convenient great tasting single serving! 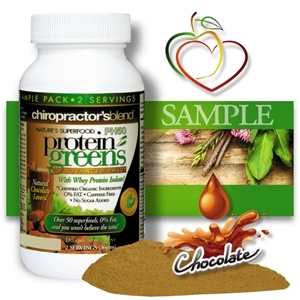 With Vegetable Protein SuperBlend and over 50 superfoods!